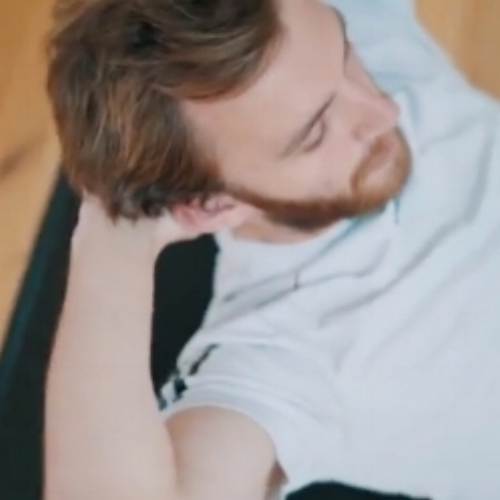 Discover the power of pure, well-taught Pilates. Learn to move better, breathe well, strengthen and heal, and enhance your sport. Consistent practice needs to be enjoyable, and you’ll always leave feeling better with our fabulous, friendly teachers. Come and change your body with us. New to the studio? Not sure where to start? Why not try a bit of everything? Two weeks of as many mat, barre, reformer, and stability chair classes as you like. It's a great way to find your favourite styles and teachers. Buy your Intro Pass with Reception. Our beautiful studio in the heart of Cheltenham. It can be daunting getting started with something new, but we’ll be sure to make the start of your Pilates journey welcoming and enjoyable. We run our classes by level, so you’ll never feel out of your depth, and you’ll find plenty of beginners-specific sessions on our weekly timetable. There’s no need to commit if you’re just wanting to dip your toe in the water. We’ve got plenty of pass options, so you’re sure to find one that suits your needs, and if you’re new to our studio you can start with two weeks unlimited beginners classes for just £25. 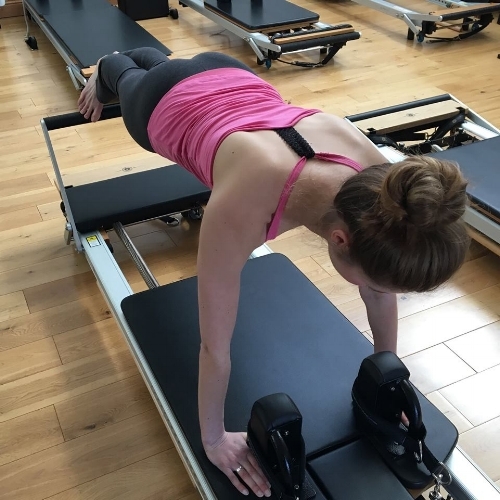 We also run Fundamentals of Mat & Reformer Pilates sessions for complete beginners, to give you a taste of different types of Pilates and prepare you to join any of our weekly beginner classes with confidence. And if you want any advice, we’d love to help you. We have more than 20 weekly group Mat classes with something for every level. If you’re not sure which class is best for you we are happy to help. We have a full range of small equipment to support and challenge you - balls, bands, fitness circles, spine correctors, arc barrels and foam rollers. Our classes are friendly and sociable, everyone is welcome. Try our Seated Pilates class on Fridays if you find it tricky getting down to a mat on the floor, whether through reduced mobility, poor balance, or post-op. A friendly, inclusive class for all ages, and do stay for tea and a chat if you’d like to (see photo above). Our affordable Reformer Pilates classes make working on the Equipment accessible for all, in a relaxed group setting. 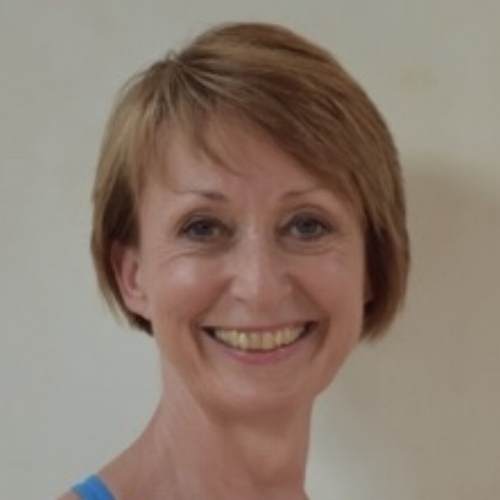 We have some of the most experienced Reformer teachers in the county who will ensure you have a safe and effective workout whatever your level. Morning, evening and weekend classes for beginners to advanced. Or choose one of our semi-private Reformer/Cadillac/Chair classes for an even more personalised session in small groups of four. Our group Stability Chair classes offer a new equipment challenge for all levels. Pregnant? Call us for details of our Wednesday 5.45pm Pregnancy Reformer classes. A fun, energetic class that takes the principles of Pilates, dance conditioning and interval training, and gives you a comprehensive full body workout that defines and tones the body and burns calories. The movements are small but the contractions are deep. Flatten your abdominals, sculpt and define arms, shoulders and back, reduce cellulite, and lift and shape your bottom and legs. Intense bursts of energy alternate with deep stretching for body shaping, fat burning fun. Safe, controlled, intense and no-impact. 7 weekly classes. We specialise in private sessions, with more than 30 regular weekly clients; men and women of all ages and levels of fitness, from teenagers to those in their late 80s, rehab to Gloucester Rugby. Private sessions are best initially if you are recovering from injury, surgery or a health issue. You may have specific goals, such as improving sport performance and preventing injuries. Or you may just want the flexibility to arrange appointments at a time that suits you – we will always try to help. We receive regular referrals from spinal and orthopaedic surgeons, physios, osteos and chiropractors, and have an outstanding reputation in Cheltenham for the quality of our teaching, experience and care. Our teachers have many years of Pilates teaching experience at the highest levels, and will help you get the results you want.